It doesn't seem likely that in today's world that you could get anything for free, does it? Yet, since 1943, this non-profit organization set out to provide free large print bibles and other devotional materials to the blind and visually impaired - worldwide! Donations are from both individuals and organizations, as well as fund raising by this amazing non-profit group. And an army of volunteers works together to get the books produced and sent out to the blind and visually impaired. You can help too. You can donate online directly to the Lutheran Braille Workers, and if you can, you should. These are available for the purpose of remembering those who have passed on or for special occasions (birthdays, anniversaries, etc.) and the monies are given to this organization in the donors name. 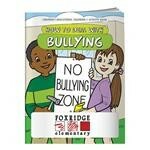 Books are available in over 30 languages and are distributed to more than 120 countries. If you're able to donate or volunteer your time, than that's a great way of 'paying it forward'. 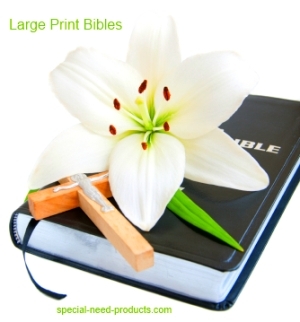 If you can afford to buy, check out this great selection of large print bibles. I've saved you all sorts of time and done the research for you. If you or someone you know is in need, you can order a free large print bible here. I promise to use it only to send you Special Need Products Newsletter.